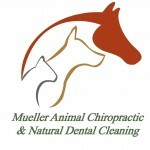 Dr. Mueller provides chiropractic care to help horse, dogs, and cats to stay healthly and active. Mobile to several counties and with a small animal clinic in Bellingham. J.J. couldn’t bend his neck easily to the right, and his trainer noticed sore neck muscles. His equine massage therapist also found muscle spasms in his back. We suspected poor saddle fit and purchased a new saddle. His response to chiropractic treatment was good—with chiropractic treatment as well as massage and a new saddle he is moving more comfortably. I would most definitely recommend chiropractic care to other horse owners. 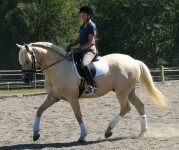 – Barbara D.
Dr. Mueller and her boy, Pikante, at their new barn HtH2. Preventative dental care is crucial to maintaining your pet’s health and longevity. 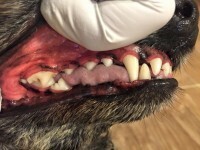 Tartar and plaque on your pet’s teeth can cause infection, gingivitis, and possibly internal organ damage over time—particularly heart and kidney disease. 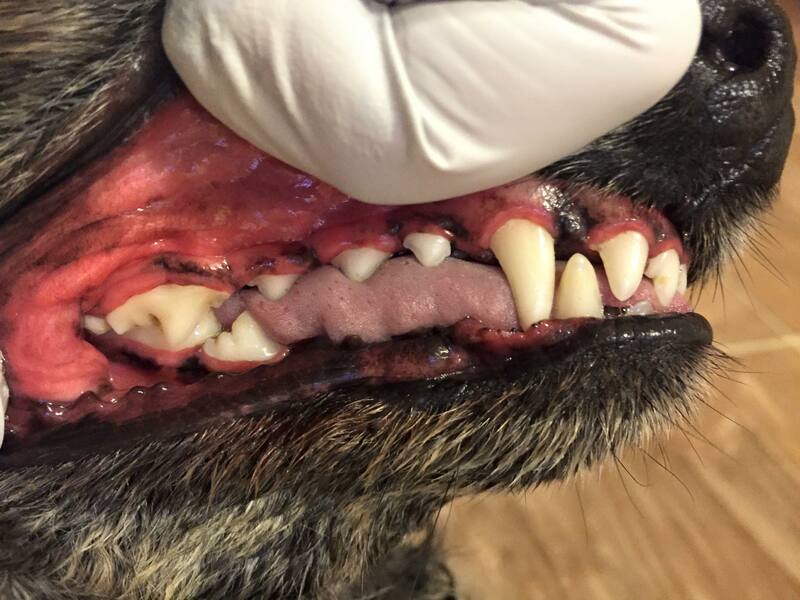 Robin Hungerford, our experienced natural dental care provider, gently uses an ultrasonic scaler to remove any tartar build-up on your pet’s teeth. She follows each cleaning with thorough polishing and rinsing to buff out micro-etches and leave the teeth surfaces clean and smooth. Dr. Karen Mueller is a life-long animal enthusiast and has trained or shown horses and dogs for over 37 years. 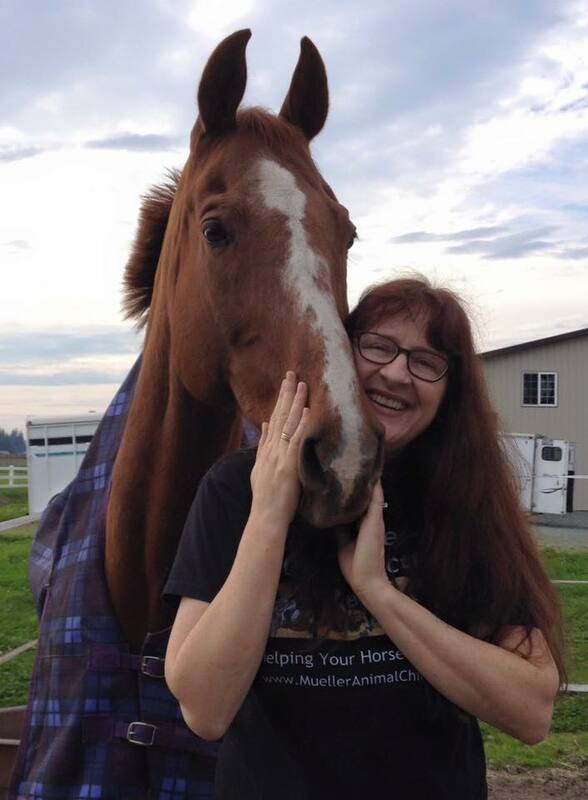 Her primary veterinary focus is now providing chiropractic to horses and companion animals. Through chiropractic treatment, she provides relief from discomfort and pain. Her goals are to allow horses to do their work as comfortably and competitively as possible, and to help their owners enjoy more satisfying interactions and relationships with them as their horses become happier and more willing in their work. Similarly, dogs and cats experience relief from pain that helps them live happier and often longer lives, bringing joy and relief to their caretakers. 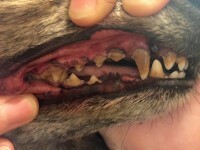 We also provide “natural dental cleaning”–cleaning teeth without anesthesia. No fasting, pre-anesthetic blood work, or long stays at the hospital are needed! Our experienced veterinary technician gently but thoroughly cleans your pet’s teeth while you wait. See our website for additional details and client testimonials. After receiving degrees in Biology and Education from Western Washington University, Dr. Mueller graduated in 1990 from the Washington State University College of Veterinary Medicine. In 1995 she received her Certification in Animal Chiropractic from the American Veterinary Chiropractic Association and Options For Animals in Port Byron, Illinois. Dr. Mueller and Dr. Mike Salewski were the first DVMs certified in the state of Washington.